I recently had the opportunity to travel to New York for work. While I was there I did get a little time to squeeze in a visit to one of my favourite shops - Anthropologie. Now I usually just go there to buy clothes, but this time I also bought a tin of vintage inspired stickers. I loved the images and colours so much, and I knew that I wanted to take home a little piece of inspiration for my card making. The image at the top on the left is the stickers I bought. 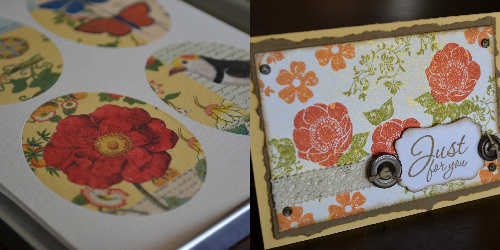 I loved the colours in the flower sticker - the reds, yellows and hints of orange; mixed with the old world feel of a vintage image. Using this as inspiration I created the card to see to the right of the sticker. I added several embellishments - lace, buttons and designer brads to give it a more vintage feel. Techniques such as layering, tearing and sponging also add to the old world effect of the card. There is a whole series of stickers in the tin that I bought, so I suspect the inspiration will continue to flow and you'll be seeing much more work like this from me in the next few weeks. 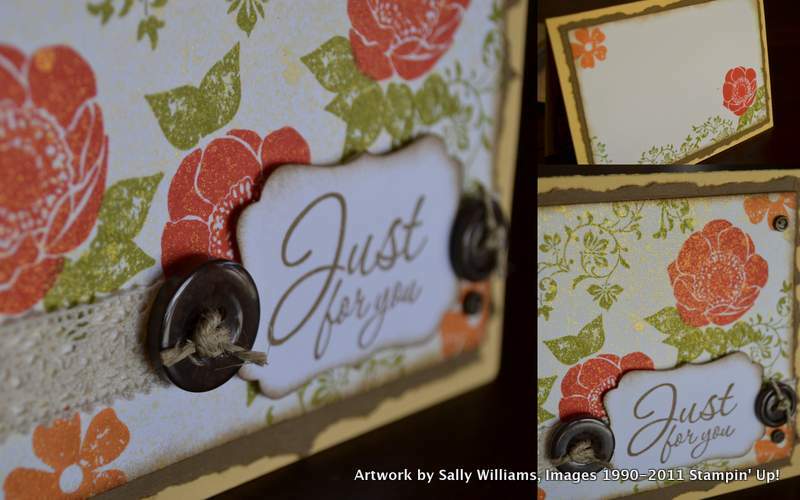 What inspires you in your card making? Have a look around your house, your garden, your street. See if you can find something from your everyday and let it inspire you in your craft.